Vicegrip’s backwards bike, from last years Calvinball, parked out front of Bikenetic. How many points for a video riding that thing. ?? You automatically win the entirety of FS, all the pointless prizes, all the cash, for all eternity. Backward Brain Bicycle - Vicegrip made one of these. I believe Phoenix has one too. Everyone's a contender! We can session (practice or attempt) silly trix on group rides. Ask me how, but I'll be honest, I'm a terrible teacher because some of this stuff is so ingrained I forget details when trying to explain. You have an advantage in that what you're tryna teach is physical, so we can watch you or your videos and have a shot at seeing what you seem to be doing... And that's all right here in the prize planning. You did a really nice job. I awarded the points for this prematurely because it does not show you riding for two pedal strokes after completion. I forgot that part of this trick is to get back on your pedals, which isn't easy. That said, I'll let you keep it since it was my bad missing it. Everyone else needs those 2 pedal strokes after this trick! I think the best course of action is simply that everyone in BAFS2019 gets a free 2 points. Pretty convenient that you used a video with the head cropped out. That's clearly me. All the points for me. 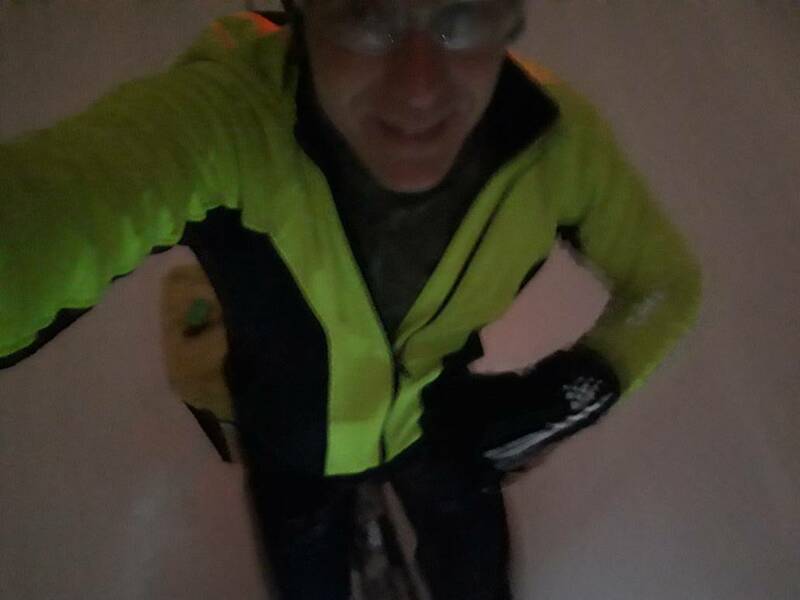 No hands, snow, night, drop bars, pannier on one side, double length (12seconds+). Last edited by Steve O; 01-13-2019 at 12:07 PM.